Lindisfarne Castle evolved from an earlier artillery battery built to protect the natural harbour within the lee of Holy Island. It was occupied by Parliamentary forces during the Civil War and it was seized and briefly held by two Jacobites in 1715. In the early twentieth century it was transformed into a stylish residence by the owner of Country life magazine. 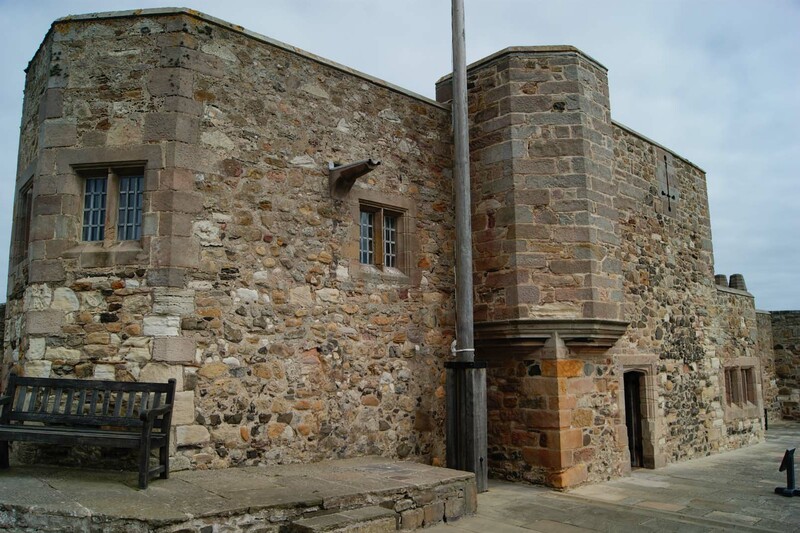 Holy Island is located just off the coast of Northumberland overlooking a natural harbour. In AD 634 Oswald, King of Northumbria granted the island to the church and a monastic community became established on the site which played a key part in the adoption of Christianity in northern England. Viking raids led to its abandonment in the late eighth century but, after the Norman invasion, Lindisfarne Priory was re-founded. The community prospered until the Wars of Scottish Independence, during which their estates were devastated, although the monastery itself was fortified and avoided any significant attack. In 1534 Henry VIII declared himself, rather than the Pope, supreme head of the Church of England. He subsequently plundered the wealth of the church which included the suppression of Lindisfarne Priory. Lindisfarne was taken into Crown ownership and its natural harbour was utilised as a base for the Tudor navy which was engaged in supporting operations against the Scots. Notwithstanding Berwick-upon-Tweed, which had changed hands thirteen times and was perilously close to the Scottish border, Lindisfarne represented the most northern port available to Henry VIII. The abandoned Priory buildings were utilised as storerooms. Henry's actions against the established Catholic church outraged many across continental Europe and, during a rare period of peace between France and Spain, an invasion of England seemed imminent. Henry embarked upon a massive coastal defence programme, the largest since Roman times. Whilst the majority of installations were in the south of England, the north-east coast was deemed vulnerable to attack from Scotland, a long-term ally of the French (the 'auld alliance'). With no existing defences, Lindisfarne was the recipient of three earth and timber fortifications for artillery. During this time Beblowe Crag, which was the site of the later castle, remained unfortified although a beacon is shown on a map dated 1548; presumably this was a navigation mark for the naval ships using the harbour. The first fortification on Beblowe Crag was started in 1549 and took the form of an earthwork artillery fort constructed around the existing beacon. This earthwork was rivetted by a stone curtain wall in 1567 and the fortification was re-shaped to create two polygonal gun batteries. In 1570 various administrative and garrison buildings were constructed in the centre of the fort. Stone for the structure was robbed from the dis-used Priory buildings. 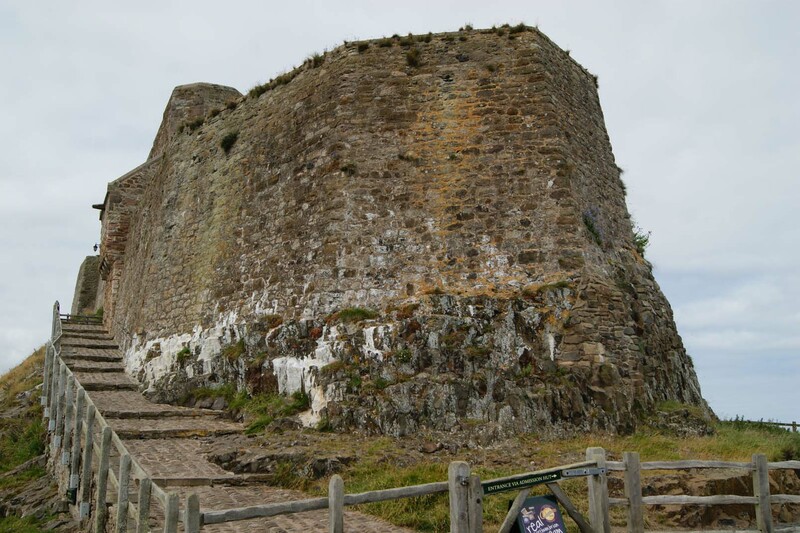 The castle was garrisoned by troops raised from Berwick-upon-Tweed but the fortification was consistently under-funded and by the 1590s Upper Battery was in a ruinous condition. 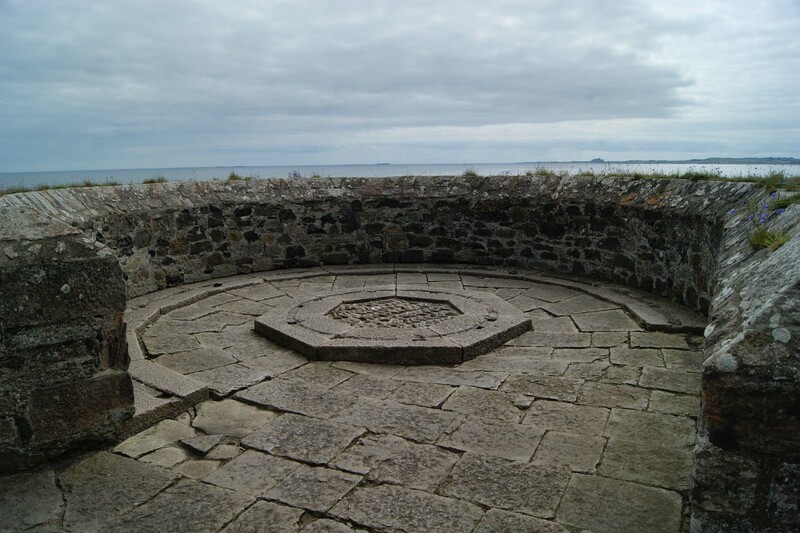 The Union of the Crowns in 1603 reduced the relevance of Lindisfarne Castle although the fortification remained garrisoned. At the outbreak of the Civil War it was held by Royalist forces but was seized by the Parliamentarians in 1643 effectively denying the King use of the port. The castle was besieged in 1648 during the Second Civil War but managed to hold out until relieved. In 1675, due to on-going hostilities with the Dutch, an additional facility - Osborne's Fort - was erected. 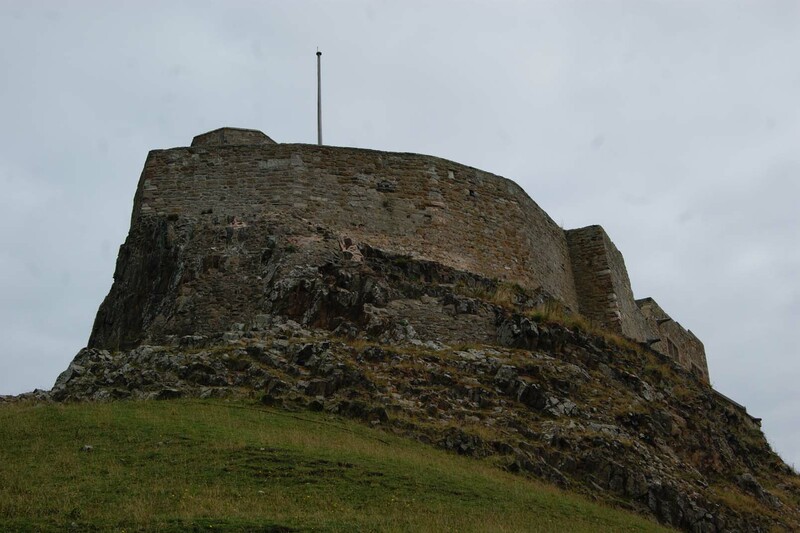 However, Lindisfarne saw no action during the wars and by the end of the seventeenth century Osborne's Fort had been abandoned and the garrison of Lindisfarne Castle itself reduced to less than 10 men. This had been reduced to just seven men in 1715 when two Jacobites - Lancelot and Mark Errington - captured it by a ruse. They held it for a day before fleeing from a military force dispatched from Berwick to evict them. The castle remained armed until 1819 and thereafter was used a coastguard station. By the late nineteenth century the castle was ruinous but in 1901 was purchased by Edward Hudson, owner of Country Life magazine. He commissioned Sir Edwin Lutyens, architect and designer, to re-model the castle into a fashionable residence. It subsequently passed through several private owners before being gifted to the National Trust in 1944. Burton, J (1994). Monastic and Religious Orders in Britain, 1000-1300. Cambridge. Dodds, J.F (1999). Bastions and Belligerents. Keepdate Publishing, Newcastle. Emery, A (1996). Greater Medieval Houses of England and Wales, Vol. I. 1300-1500. Cambridge University Press, Cambridge. Graham, F (1976). The Castles of Northumberland. Newcastle. Jackson, M.J (1992). Castles of Northumbria. Carlisle. Rowland, T.H (1987). Medieval Castles, Towers, Peles and Bastles of Northumberland. Sandhill Press. Story, J (2005). Lindisfarne Priory. English Heritage, London. Lindisfarne Castle is a coastal defence fortification built during the Elizabethan period. It was heavily adapted in the early twentieth century to convert it into a fashionable residence. Lindisfarne Priory Layout. The castle was built on top of Beblowe Crag. Castle and House. The castle is a strange combination of Elizabethan fort and stately home due to the modifications of Edward Hudson in the early twentieth century. Osborne's Fort. 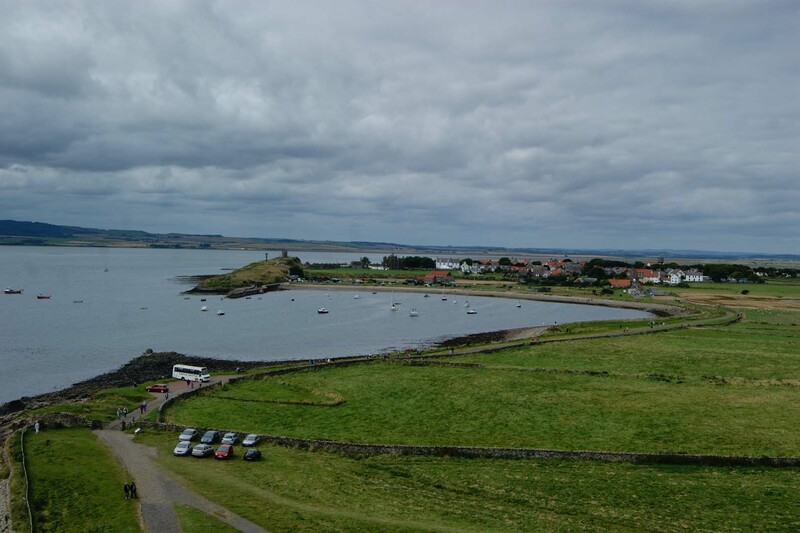 View from the castle towards the remains of Osborne's Fort and Lindisfarne Priory. Lindisfarne Fortifications. 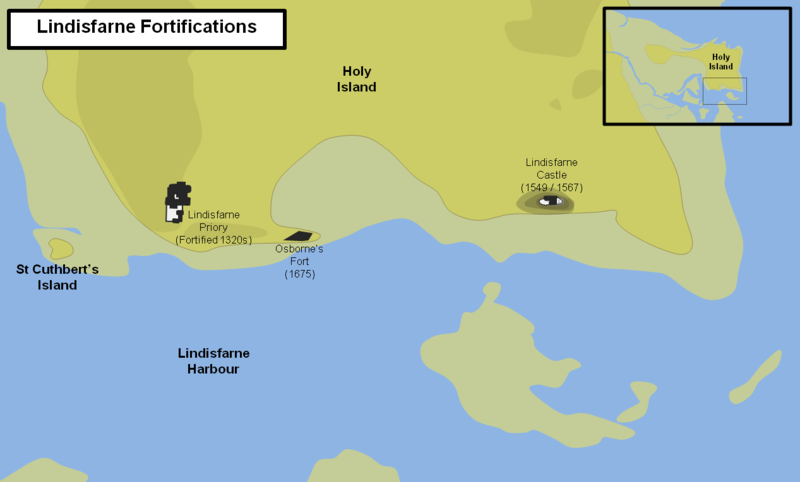 Until the fortification of Lindisfarne Priory, there were no defensive sites on Holy Island. Following the Reformation, Henry VIII built blockhouses to protect the harbour. 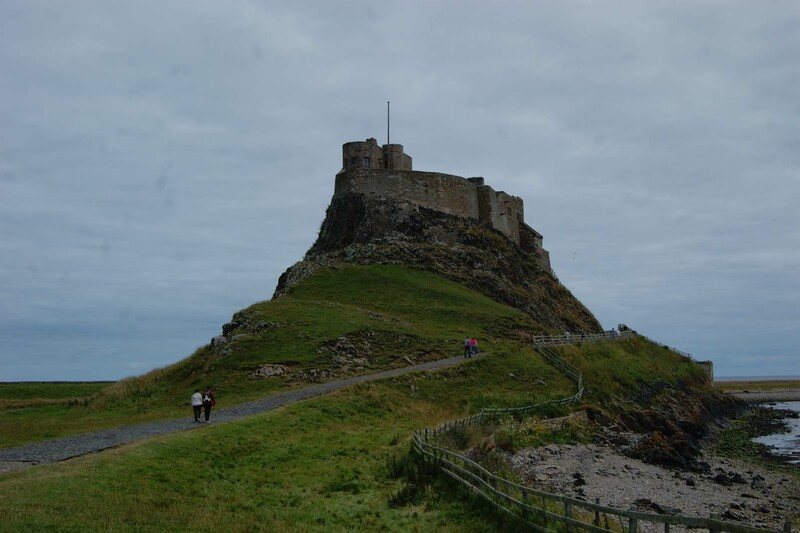 Lindisfarne Castle is located on Holy Island which is accessed via a causeway from the mainland. This access road floods at high tide but safe crossing times can be found on the National Trust website. There is a central (pay and display) car park for visitors. The walk to the castle is approximately one mile.